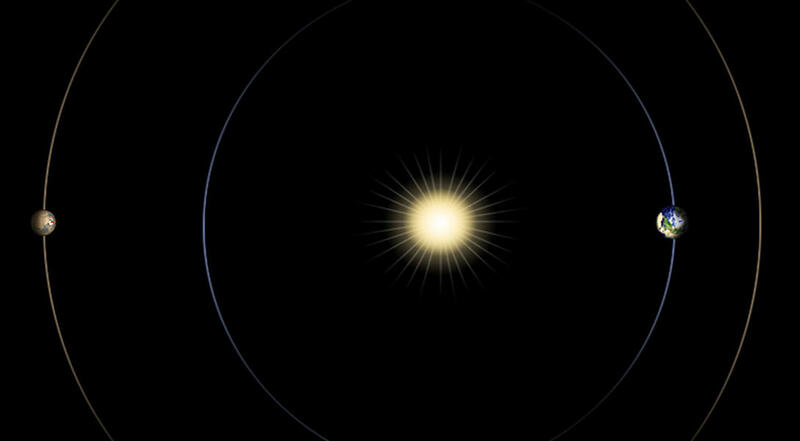 For much of this month, humankind's missions to Mars will temporarily experience interrupted communication with Earth, as the Sun passes between Earth and the Red Planet. Known as solar conjunction, the arrangement naturally occurs every 26 months, and disrupts radio communications between the two planets. The spacecraft themselves are unaffected; they will continue their investigations uninhibited, but will be temporarily unable to transmit data back to mission controllers on Earth. Furthermore, mission controllers on Earth will generally refrain from sending commands to the spacecraft. Any signals that commanders send could become garbled and be misinterpreted by the spacecraft, potentially causing harm to Curiosity, MAVEN, and the other spacecraft currently in residence on and above Mars.